Handmade bowls by ancient techniques. Every ceramic bowl is glazed and colored by hand in a small village in Morocco called Tamegroute. 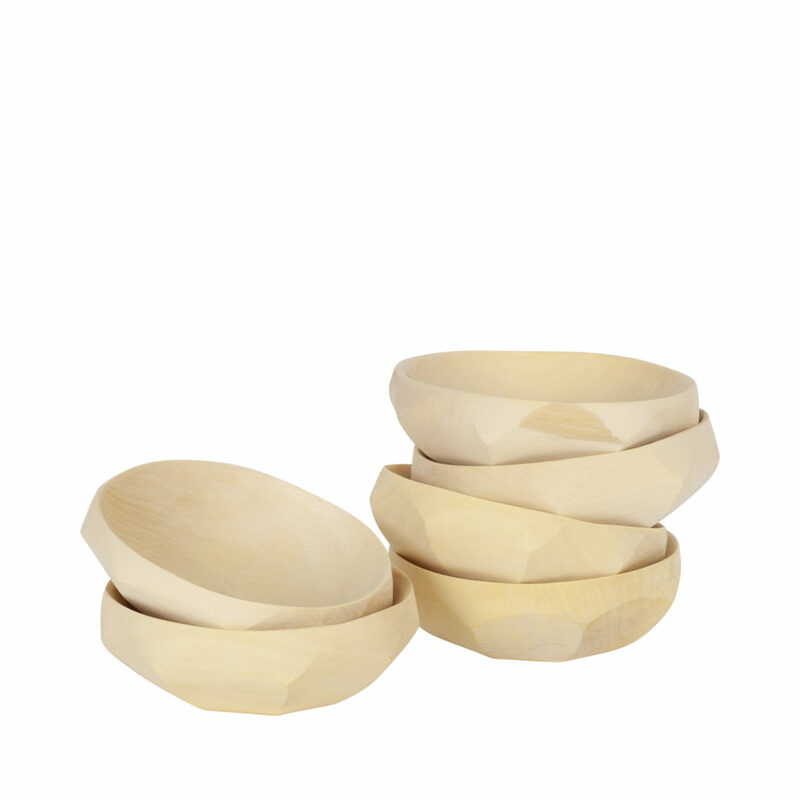 Perfect bowls for salad, makes a beautiful table. 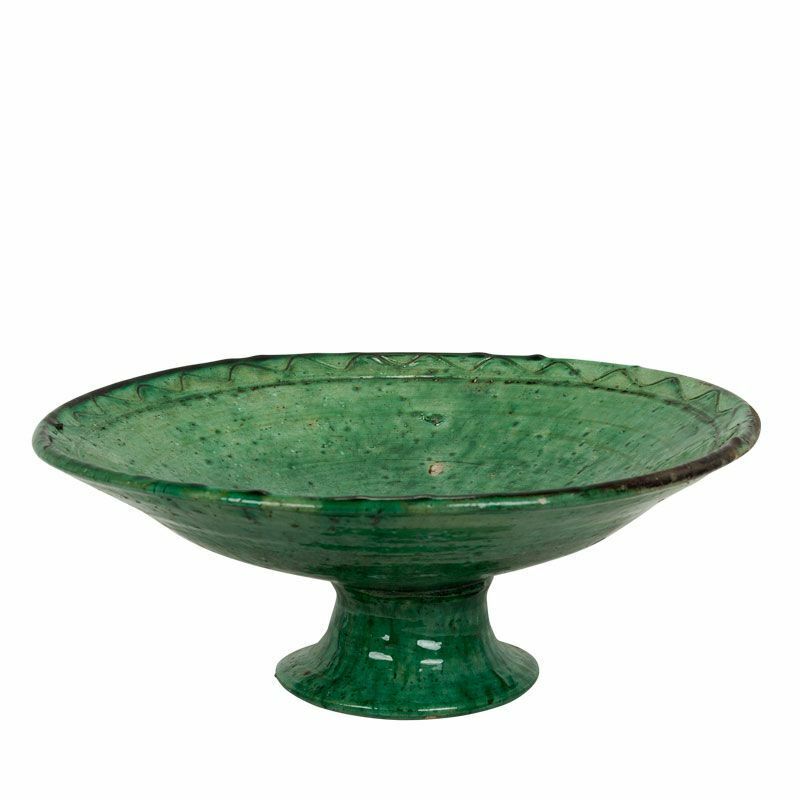 Combines beautifully with the salad bowl as well. Tamegroute is a village in the far south of Morocco. For centuries a family makes earthenware following the same method. All our earthenware is handmade and therefore every item is unique. 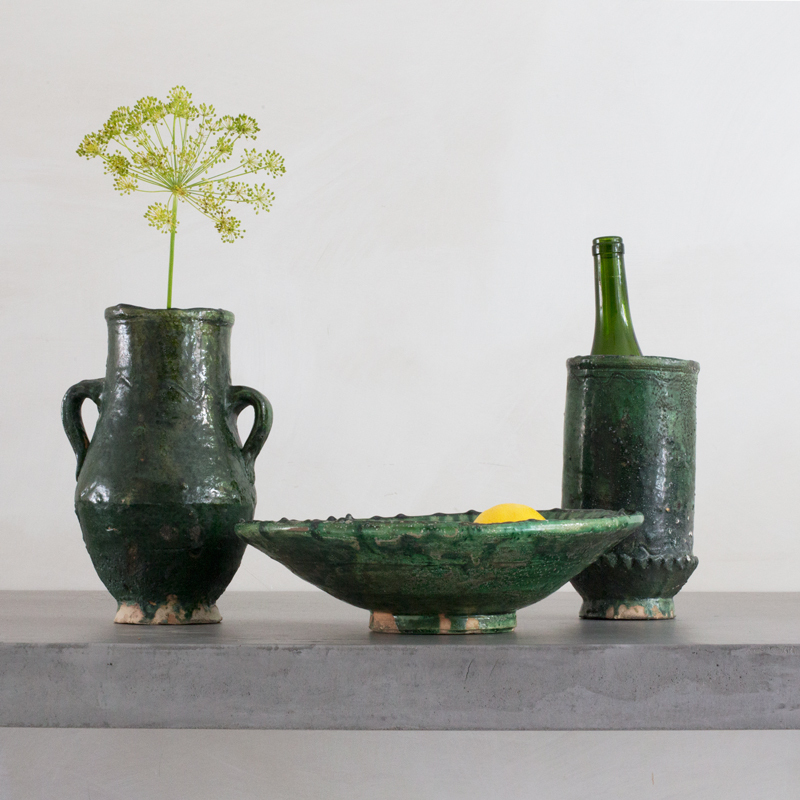 This raw and pure earthenware is in various shades of color, from deep green to ochre. Dramatically difficult to find the right pieces, but dramatically beautiful when found. 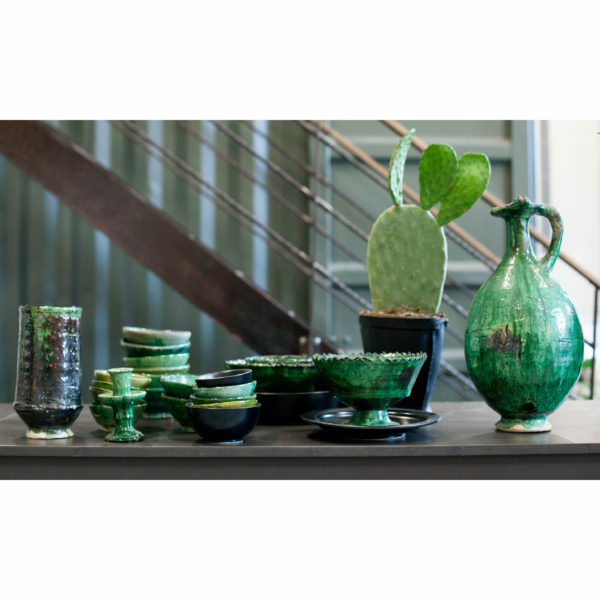 In our wide range of ceramics you can find what you need. In our designs we strive for timelessness and fantasy. 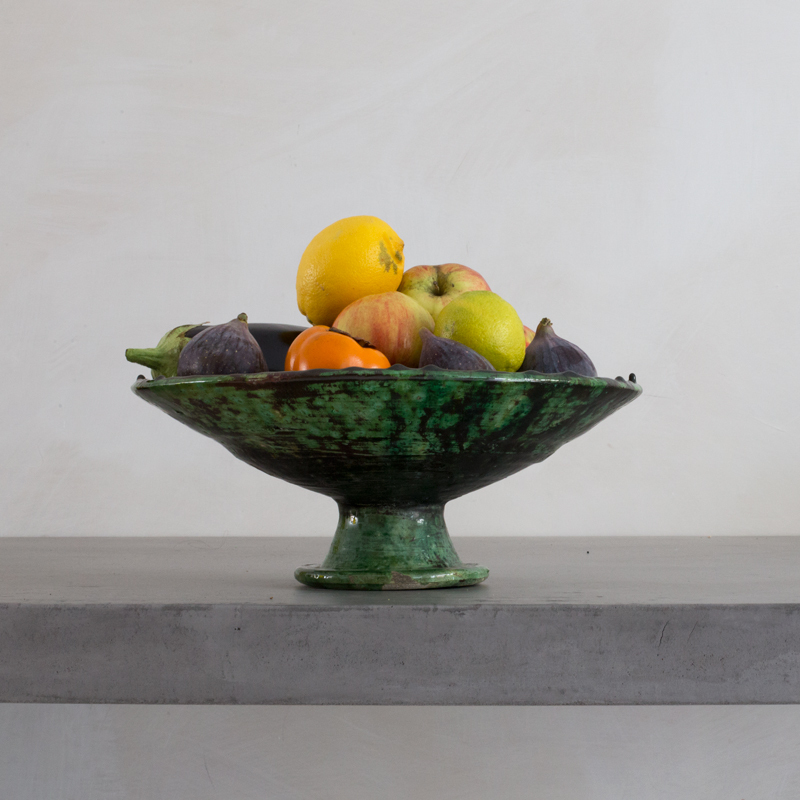 All of our ceramics is handmade and high quality, without losing sight of the ease of use. 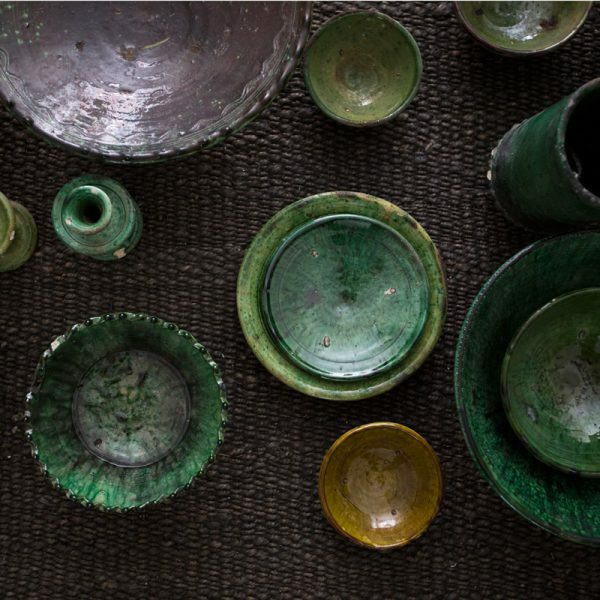 Because everything is made by hand every plate, bowl or cup is unique. We sell different kinds of ceramics. We sell raw ceramics from Tamegroute, made according to age old techniques in the colors green and ocher yellow, but we also sell more traditional ceramics, with hand painted patterns in black and white. 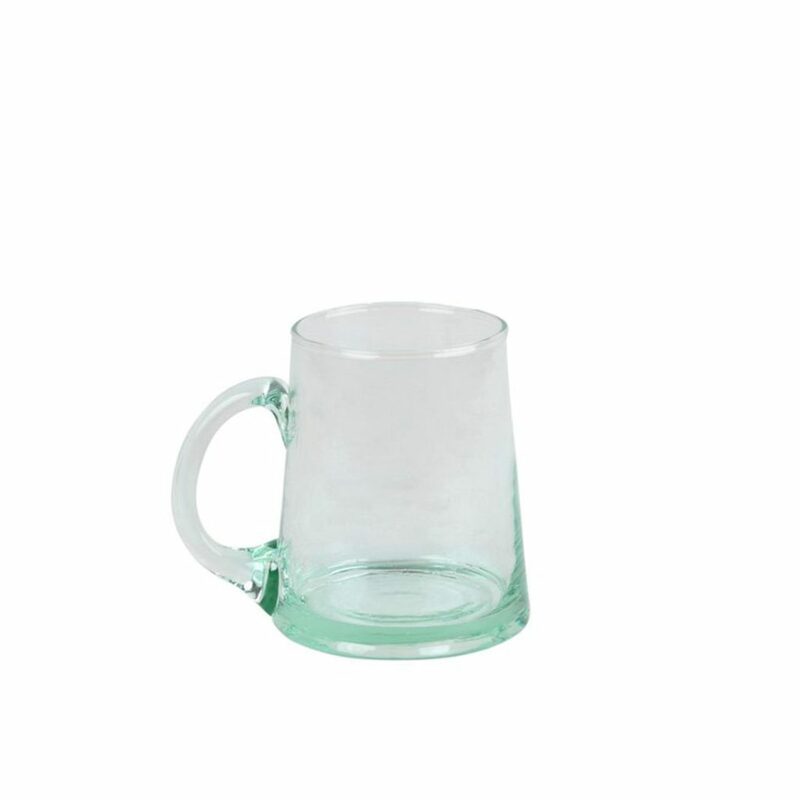 This last type of ceramics is dishwasher and microwave proof. 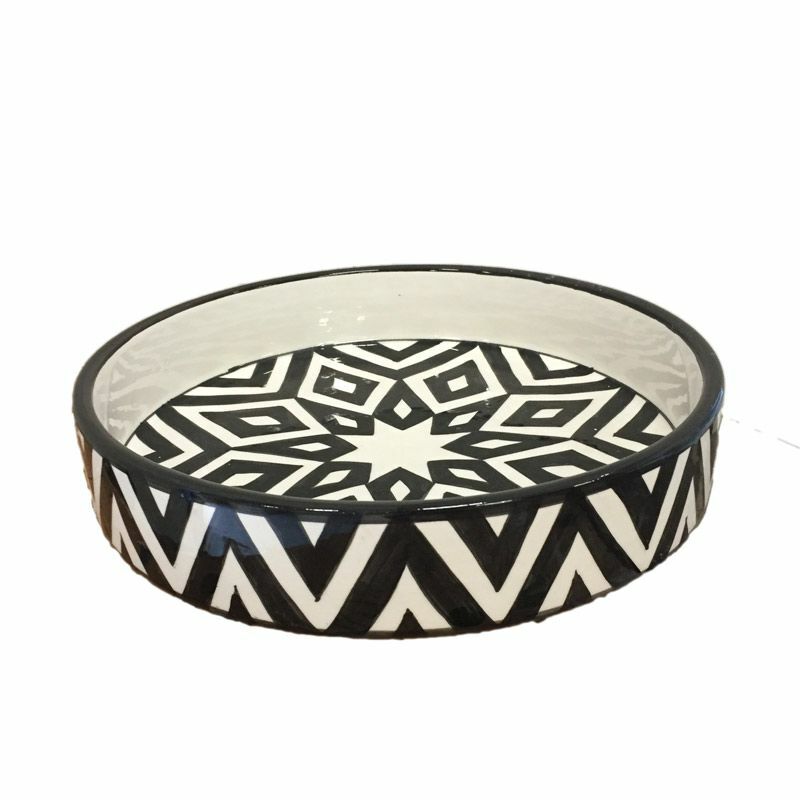 We want to emphasize that the design of all our products is made in collaboration with, and with most respect for the artisans and the Moroccan tradition. 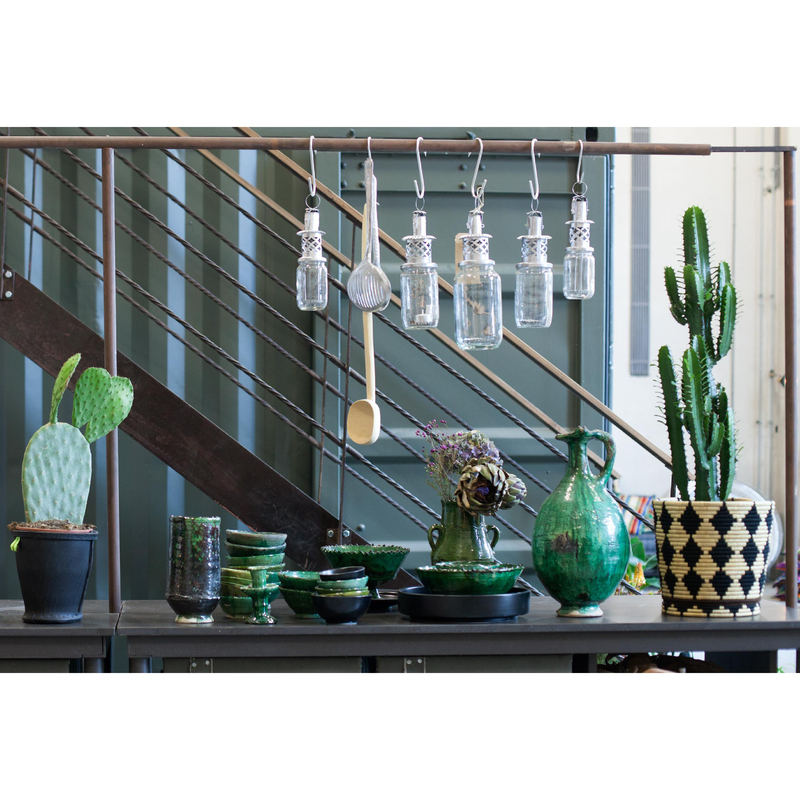 We are known for honest trade and fair products: we work on longlasting teamwork with both the craftsmen and designers, as our customers.You might know us from our extensive (recycled) glassware collection, dark green ceramics made in Tamegroute, our comfy and high-quality benches and daybeds, and our multiple collections of handmade ceramics.